1. Take a 6x6 square blank card and open it up. Measure 12cm up the card and trim across the full length of the card. On the right side of the card trim 5cm off the short edge. 3. Take the biggest side of the large piece of card and layer on top of the small card as shown; this will create the base of your card. 4. Die cut a scalloped square from card and a smaller plain square, mat together to create the focal point of the card. The scalloped edge of the card will also act as an easel. 5. 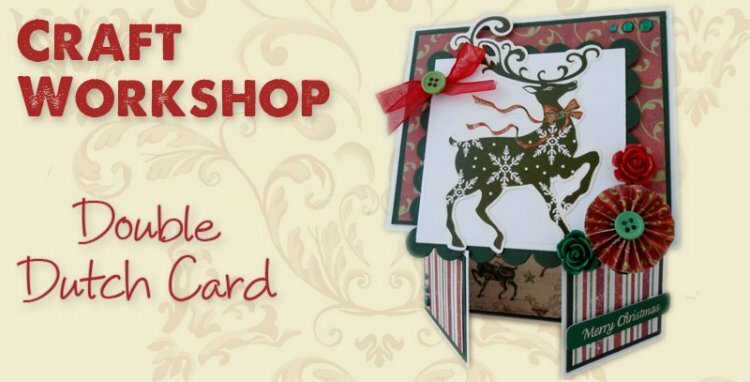 Decorate and embellish as required, we have use Dovecraft Tis the Season to create a fab Christmas card.